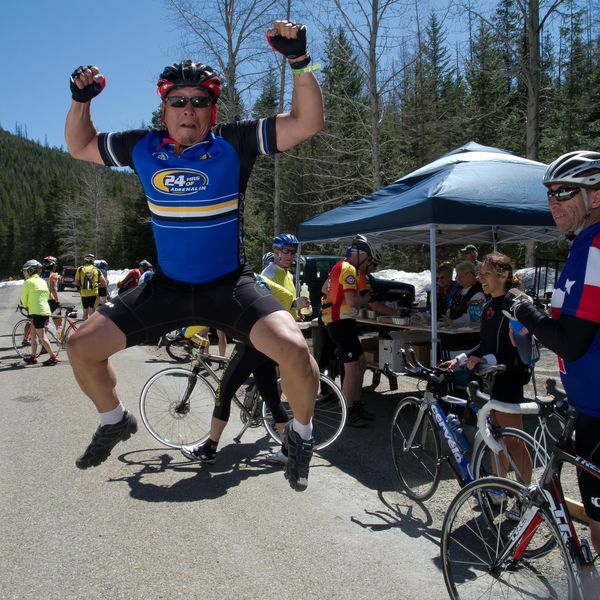 Larry Kwan, from Calgary, is jumping for joy because STOKR is a training ride for him. He belongs to Team Pink, which will be riding the Enbridge Ride to Conquer Cancer, a 2-day cycling event in June (2011) to raise funds for the Alberta Cancer Foundation. "The ride allows me to honor those affected by cancer and to contribute towards the fight to eliminate cancer. The summit is my measure of preparedness." Photo courtesy Larry Kwan.